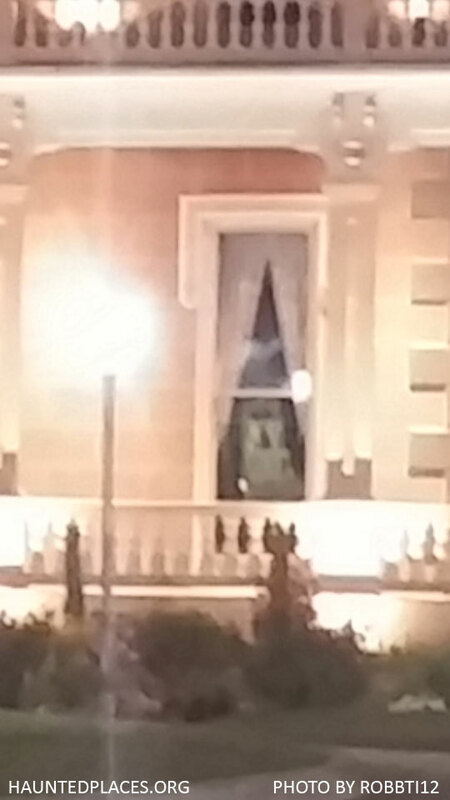 The ghost of a young girl dressed as if from the 1850s has been seen in the upstairs window; she has also been heard talking to herself, singing or humming. She also has shown up in photographs visitors have taken of the inside of the mansion. She is said to throw objects on the ground when she gets angry. Cold spots and doors that close by themselves also have been reported here. I was a security officer at the Triad Center where the mansion is located. At night lights would turn on and off by themselves. 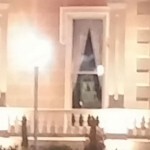 A figure of a girl in a white dress with a blue sash around her waist could be seen in the front window, 3rd floor window (what use to be her room) and second floor SE window. If you close the blinds in the SE room she will open them again by them time you get back outside. If you find the 3rd floor light on and go into the house to turn it off by the time you get to the first floor the light will be back on again. It is so common an occurance that we stopped turning the light off. The elavator in the house will move on its own and open to no one inside. I was on a ghost tour that included this house. I saw a woman peering through the window, she was there and then gone that fast. Facing the house It was the left upstairs window.